U2 frontman Bono has found the car keys he has been missing for 22 years and might stop singing "I Still Haven't Found What I'm Looking For," according to sources close to the keys. Speculation had bounced around the band that the keys were lost for good and there was no way Bono would find them. In 1987, Bono nearly came to blows with U2 guitarist The Edge after a night of drinking. Bono: Where are my keys? You took them. Didn't you? The Edge: What? Shut up. I don't care about your keys. Bono: Stop fooling around. Give me my damn keys! Eventually, The Edge fell asleep, and in his drunkenness, Bono wrote the hit single "I Still Haven't Found What I'm Looking For." Although many had figured out that Bono hadn't found his keys, speculation among rock journalists was that he was actually looking for a lost umbrella, gloves and/or sunglasses. 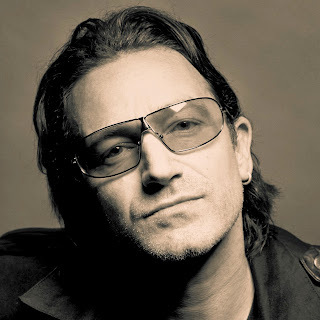 U2's publicist confirmed Bono found his keys in an e-mail that was prompted by calls and e-mails from the Snooze Button Generation. "Yes, it's true. Bono found his keys. They were in his freezer. Yes, it was crazy because he even looked in his freezer the night he lost them. Will they stop performing 'I Still Haven't Found What I'm Looking For?' I doubt it, but who knows? Please, you got to stop with the calls and e-mails, and, no, I can't get a jpeg of the keys. Please respect Bono's privacy on this matter."